The most important advice I can give you is to simply read the ingredients on any product you come into contact with. That means pay attention to anything you eat, drink, breathe or touch. Some people find reading labels intimidating, and others tout overly simplistic advice; for example, having an elementary school aged child read the ingredients list and only making a purchase if they can pronounce all of the ingredients may seem reasonable until your child has trouble pronouncing ascorbic acid (which actually has very low toxicity, can prevent disease, and is often included in baby food). Reading ingredients allows you to take back your power and take back your health. You can make informed decisions by taking initial steps to learn more about the food your family eats and make label reading a consistent habit. But, it doesn’t stop there, and consumers are happily using stain-proof carpeting, cars with brand new upholstery, garden pesticides, asbestos, hair sprays, clothing, paint, you name it—without knowing they’re at great risk. Unfortunately, you can’t trust the claims on products you purchase because US laws are inadequate and fail to regulate chemical usage in ways to protect human health. More specifically, when chemicals are developed for pharmaceutical purposes, they undergo rigorous safety testing using animal models and human exposure studies. These drugs aren’t approved for market until after pre-clinical trials show they don’t cause adverse health effects. However, when chemicals are developed for industry use, and they’re not marketing them for human consumption per se, these substances don’t go through the same rigorous testing. Chemicals are pouring into our environment before they are proven to be one hundred percent safe for human health. They’re only regulated after the fact, if data emerges showing that their use leads to toxic effects in people. This data emerges chronologically and cumulatively while the casualties continue. Many, many people are injured by chemical exposure before any regulation is put into place. This is why it is necessary to read all labels and check ingredients. The United States lags behind when it comes to reforming chemical regulations because of our powerful chemical lobby. After you start reading labels and learn more about ingredients, you can contact your legislators and urge them to enact laws that better regulate all chemicals, not just those in foods or medicines. 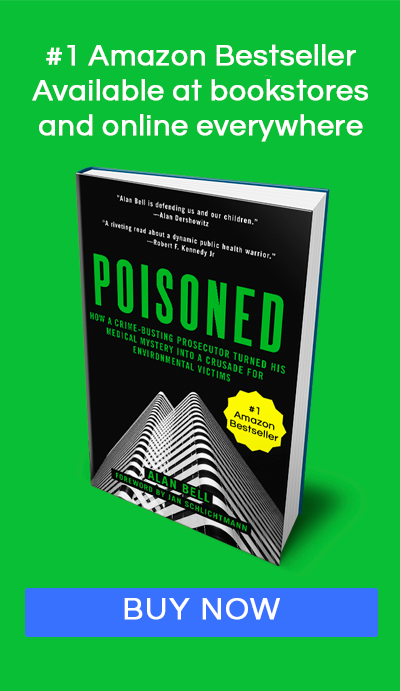 My overall message is that we can make a difference in the fate of humanity—but only if all of us work together, spreading the word about the need to protect ourselves from environmental toxins. I would like to hear how you survived and got better. My story is too long to put down here but I’m still seeking some kind of respite from this nightmare if at all possible. Hi Diane – My story is long as well, but my daughter ended up finding something that would help me. I still struggle and have relapses, but now I am a fighter. Check out the In the Media page on my site here to listen to some of the podcasts and hear my story more in depth. Take care and feel well.